Description: Holmes 440PY type 8 tons tow truck. 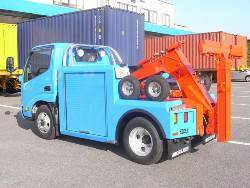 It is a tow truck device was jointly developed with the United States Miller. I correspond battery jump, out of gas, tire change work, to load all service work. 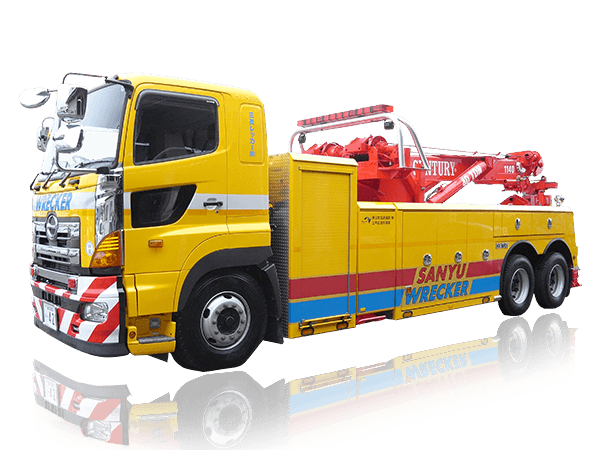 It is the perfect tow truck to jump the battery in the transport system. 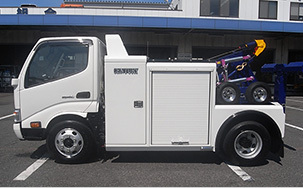 Description: It was equipped to 4 Tonshashi Mitsubishi Canter so that it can accommodate a medium-sized truck from a small Holmes 440PT type 8 tons wrecker. 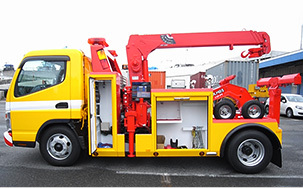 In order to allow lifting the tire in the L-shaped arm a small wide track width, I am equipped with the L-shaped arm of 3 tons allowable load, I was fitted with a hydraulic air compressor.